Mang Inasal, the leading Filipino restaurant that serves the No.1 chicken inasal, is the most popular go-to place for people seeking to satisfy their craving for a truly delicious Pinoy fare. Not only do they serve its flagship offering of the 2-in-1 sa Laki, Nuot sa Ihaw Sarap Chicken Inasal, Mang Inasal also offers Pinoy favorites such as Pork BBQ, Palabok, Lumpiang Togue, and Halo Halo. 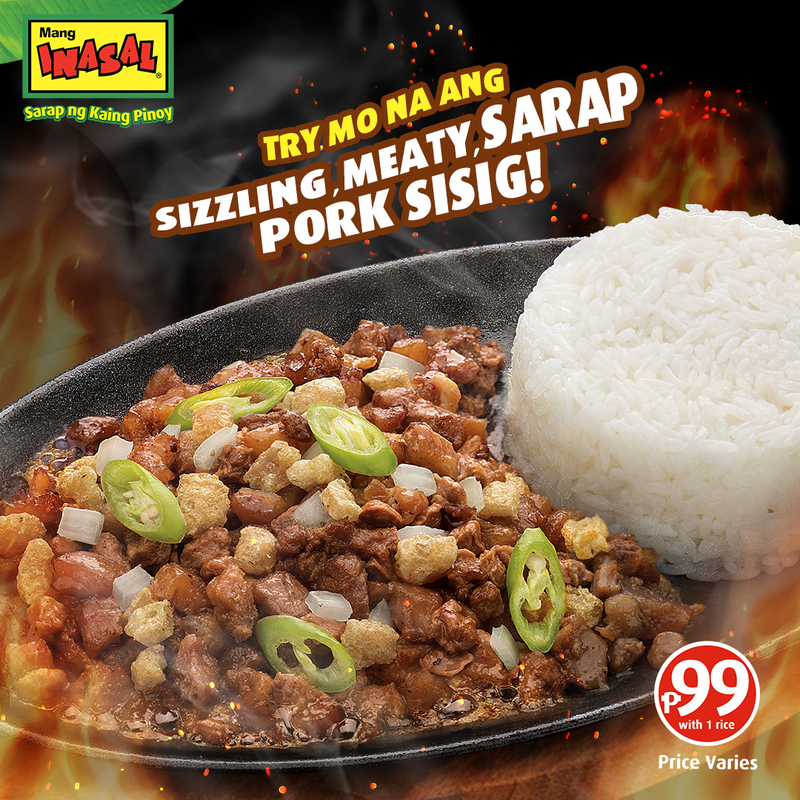 Probably the most scrumptious and affordable Sisig in the Philippines, Mang Inasal Pork Sisig might just be the ultimate Pinoy comfort food you are looking for.Definitely a must try!